Whatever you do to improve your website’s ranking with the targeted search engine, the efforts would fall under Search Engine Optimisation. The bottom line is however to make the website as relevant to the audience as possible, so that they search for it for its reputation, making it valuable to the search engine. 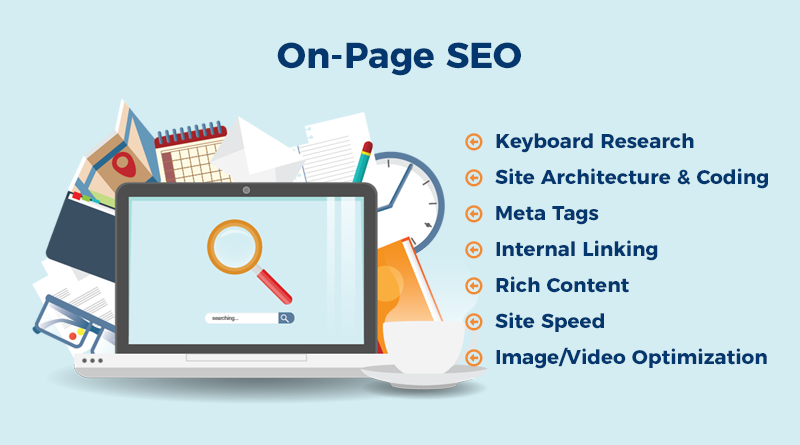 Both on-page and of-page SEO is required to achieve maximum exposure, but this blog focuses on top 5 on-page SEO techniques to bolster reach of your online marketing campaign. No one would ever know anything about your business if it’s not content. So it is communicating to your potential customers. OK content is just info but great content has info represented in a form that the readers want to find and read more of it; basically they want to participate in the communication started by you. This leads to brand awareness and ultimately to the customer retention and loyalty. Original and usefulin the form ofarticles / blog, images, videos, presentations, infographics, comments etc. that adds value to the audience. Published first on your website. 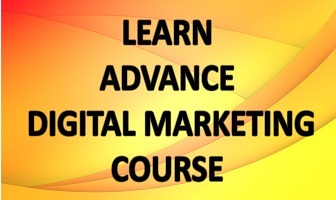 It’s a good practicebutpublishing on high quality website also works wonders. Accompanied by text. Non-text content like videos and images should always have a text description. Well researchedwhich is like answering certain query posed by the person who launched the search. Free from low-quality, which translates into generic, keyword stuffed, short form or thin, plagiarized and irrelevance. A search engine crawls you website for elements like headings, page title, the description of the page, and images to know what the page is all about. Then depending upon other important factors considered by the search algorithms, search engines rank your page / website. Page titles: No two pages should be same in terms of both title and its purpose to be clear to the user. They should know what the page is about based on the keywords of interest and focus. Meta Descriptions: While looking for the relevant page when it appears among the other links listed on the search, the users scan through the page, explanatory yet short and precise (in under 150 characters). After all search engines look for them to consider if it matches the query of the user. Formatting: This basically boils down toheading (h1) and sub headings (h2) tags placed appropriately along with bold, underline or italics highlighting important parts of the pagetomake it readable for the user. Images: Using original and optimised images having a descriptive file name can boost the performance of your content but make sure its loading is not slowing down the website. And do not forget to use ALT tag for image description. Though it’s a good practice to place links on other websites to increase authority of your website, internal links are also equally important.It improves navigation for the user also allowing website to be properly crawled by the search crawlers.Improve your internal linking efforts by using content links (to redirect the readers to other related pages) and permanent navigation links. Making users stay: Finding one relevant content piece after another through internal linking keeps the users on your website longer, increasing chances of interaction. Letting search engine see other pages, including important ones: A page with links takes the search engine crawlers to those linked pages as well. And with some pages being more important that others linked in this manner get highlighted to the search engine without any separate effort. Permanent links: URL of each page is a permanent link; to keep it in good books of search engine keepit under 255 characters, different words / parts of URL to beseparated by hyphens. Categories: Categorisation is grouping at best to make search engines find your pages easily and fast. You can introduce as many sub-categories as you want for the same purpose of clarity and speed. Breadcrumbs: The main purpose is again to make navigation through the website easier, in a way they always know their way in and out of the website. User Sitemap: An html file that serves like a map for the search engine as well as user showing the structure of your website is sitemap. Fast often means better when it comes to being online and Google has never made it a secret, even added it as a ranking factor.So, ensure that your website loads in a blink of an eye. Another aspect to pay attention is to get the page authority up by getting it written by those who know their subject and others know them. If you can’t find someone like that, become one by establishing authority;link yourweb-published content with your Google+ or other social media profiles. If you stay active on the web with credible content, gradually you gainvaluable followers underlining your authority to the search engine. When you work on all the 5 elements of on-page SEO mentioned above, the chances of improving site ranking grows manifold. Would you risk not having work on these rather?